If you have a self-directed IRA or substantial investment funds, you no doubt have considered investing in real estate. However, you may lack the funds to invest on your own or the desire to deal with the hassles of property management. A viable option for you may be to invest in a real estate “syndication” (i.e., a group real estate investment, also known as a Private Placement Offering) as a passive investor. In a real estate syndication, a “sponsor” or “syndicator (which may be an individual or an entity) will typically identify a real estate asset, such as an existing commercial or multifamily property (or vacant land for development) or single-family fix-and-flips that will yield a sufficient return to pay themselves and their investors from cash flow during operations and/or equity on resale. The sponsor may obtain institutional financing for a portion of the purchase price and then pool funds from private investors to finance the down payment and closing costs, or he or she may raise all of the purchase money from private investors. The sponsor’s job will consist of finding a suitable property, putting the group of investors together and managing the asset on their behalf. In exchange for these efforts, the sponsor will receive fees and/or a percentage of the “distributable cash” (i.e., profits) left after all expenses and loan obligations have been paid. Typical investor returns can range from 6 % to 12% (or more) annualized, calculated against the amount of money invested. The range varies, based on the type of investment and the level of risk to which an investor may be exposed. The higher the return offered, the greater the risk. For example, an investor or self-directed IRA might take a position as a “debt partner,” in which case the returns will be calculated as interest on the amount invested. Such returns may be in the lower ranges, but the debt partnership position may be “preferred” or “secured” by a lien against the real estate, which is a lower-risk position. Another option for investors is an “equity partnership” position, where the distributable cash is split proportionately between the group of investors and the sponsor, whose compensation can range from 25% to 50% of the distributable cash. In this case, the investor returns may be greater, but they will be dependent on the performance of the property and the sponsor’s ability to maximize returns by increasing income and minimizing expenses. Prior to accepting any investor funds, the sponsor is required by securities laws to provide a set of offering documents that explains the terms and discloses the risks of the offering to prospective investors. Further, sponsors typically answer to their investors by means of periodic newsletters, financial reports and/or teleconferences. Unlike a stock investment, investors may also have some limited voting rights regarding major decisions affecting the company or their investment. The Sponsor’s background, education and experience with similar investments, if any. 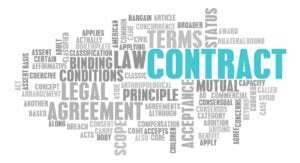 The team members involved in acquisition and operation of the property, including attorneys, CPAs, other members of the sponsor, property managers and affiliates that may receive fees, etc. Cash distributions to investors during acquisition, operation and disposition of the property, including the proposed timing and anticipated percentage returns. Property information, including its type and condition, the purchase price, financial history, proposed “value add” and exit strategies and pro forma financial projections. Information about the law firm that structured the offering and drafted the offering documents, and whether the firm is experienced with securities offerings. In addition to satisfying yourself with respect to all of the items listed above, you should seek the advice of your own attorney, financial adviser or accountant regarding the investment. Your attorney should determine whether the offering complies with applicable securities laws. A sponsor that disregards the applicable laws (or drafts its own documents) may expose itself and the entire investment to unnecessary civil or criminal liability, or it may be unaware of its fiduciary obligations to its investors. Your CPA or financial adviser should evaluate the financial merits of the investment based on past financial statements for the property and pro forma projections provided by the sponsor, as well as its suitability for your investment portfolio. Become a member of your local real estate investment clubs and attend their meetings on a regular basis, and attend the informational seminars offered by your self-directed IRA administrator.